Go to the show screen of the sample you want to move. By clicking on 'Move' button shown above you will get to the move screen. 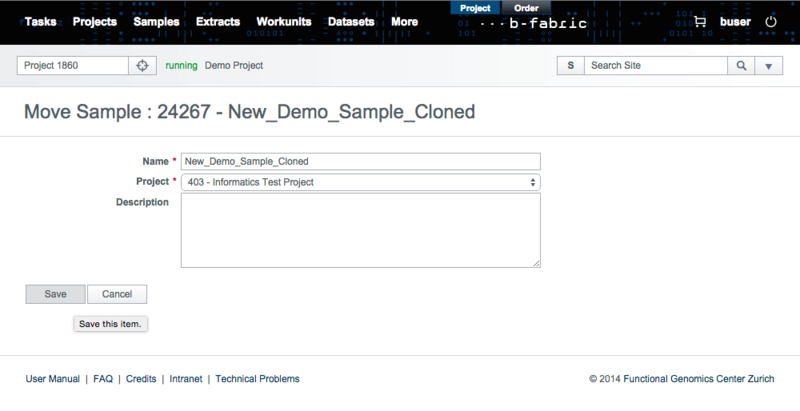 The 'Project' drop down menu allows you to select where you want to move the sample and all its child extracts. 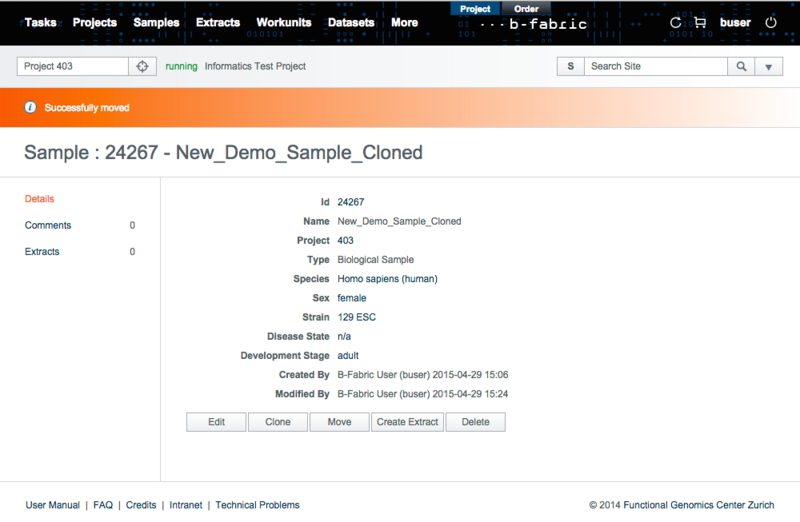 You should be aware that moving a sample to another project might require the cloning of other samples. 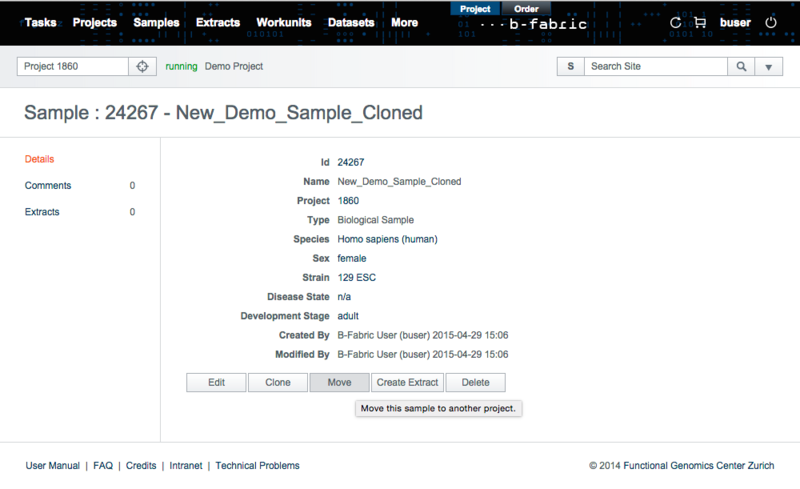 For instance, if you have a sample A with child extract B and sample C with child extract D. Assuming the extracts B and D have the combined child BD, moving sample A with its child extract B (and BD) to another project will require cloning C and D.
By clicking on 'Save' button you will get to the show screen of the moved sample. Created by fetzerm. Last Modification: Wednesday April 29, 2015 15:26:55 CEST by veresbogdan.